Click on the link above to hear Silver Laughter perform this Beatles tune. It was recorded live from the tribute in July of 1977 and was a big hit at the Tradewinds in Calgary, Alberta. Yesterday my friend Peter from the dog park said he found our cover of ELO’s “Evil Woman” and gave us very high marks for imitating one of his favorite songs from one of his all time favorite bands which was nice of him to say. So I think he will like this one as well. The clip has been reedited and converted to MP3 to make it easier to download. Mick is singing the lead with Ken and Jon (and maybe Paul) on backups. The picture shows the same personnel who performed on this cut. The outtake is from a session we did with Art Stenstrom behind the lens. 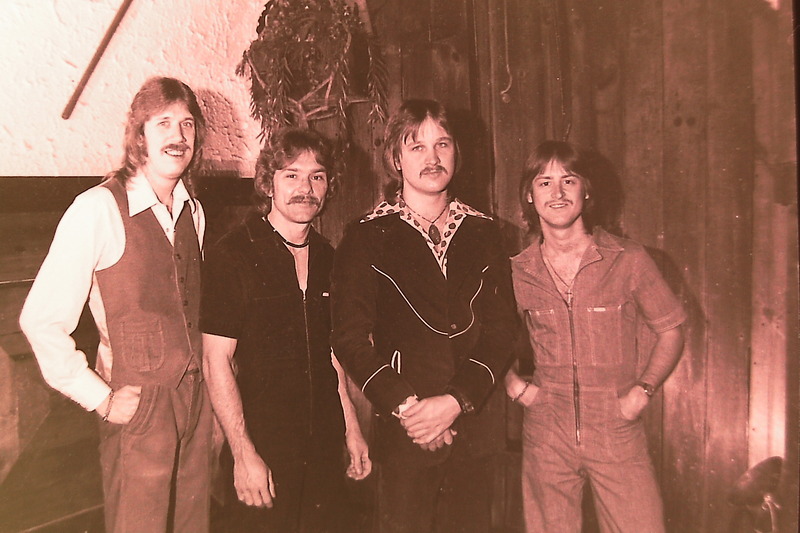 It was snapped in August of 1977 at The County Seat in Carroll, Iowa after our triumphant return from Canada a few months earlier.